M. W. Truck Parts has a wide variety of truck steering parts available for immediate purchase, including a range of steering boxes, steering columns, steering wheels and more for Volvo, Mercedes, IVECO, DAF and MAN trucks. We break all truck steering parts from our own stock of trucks. We break hundreds of trucks and lorries each year. We always have steering parts in stock, many of which are not published on our website but are available over the phone. If you need something that isn’t listed on our website, call us to make an enquiry and we’ll help source the parts you need. All our used steering boxes and truck steering parts come with a 30-day guarantee with a free repair or replace policy on faulty goods. Any reconditioned parts we well come with an extended 3-month warranty for complete peace of mind. This is testament to the quality of our service and our long-standing reputation in the industry. Buy your steering parts online today and get them in 24-48-hours. We offer next day delivery on orders purchased before 12:00pm. We deliver anywhere in the United Kingdom and we can also cater for overseas customers. Contact us today to find out more. You can also call us to buy your used truck parts over the phone if you prefer. 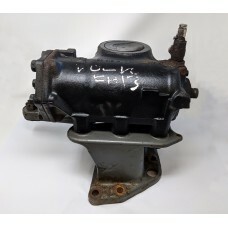 Mercedes Volvo MAN DAF Iveco Steering Gear Boxes POA (Please call for more information)..